Perhaps this is the end for Chris Drury. Captain clutch, or McDrury, or whatever nickname you favor has had a dream career since he started for Trumbull National in the 1989 Little League World Series, pitching the squad to the championship. That transferred to a dominant high school hockey career at Fairfield Prep, and you know most of the rest of the story, national championship, Hobey Baker award, Stanley Cup champion, two-time Olympic silver medalist, captain of the New York Rangers, the list goes on and on. But this could be it for Chris Drury. Drury's contract was bought out by the Rangers on Wednesday afternoon, ending his career with the Blue Shirts and making him an unrestricted free agent. 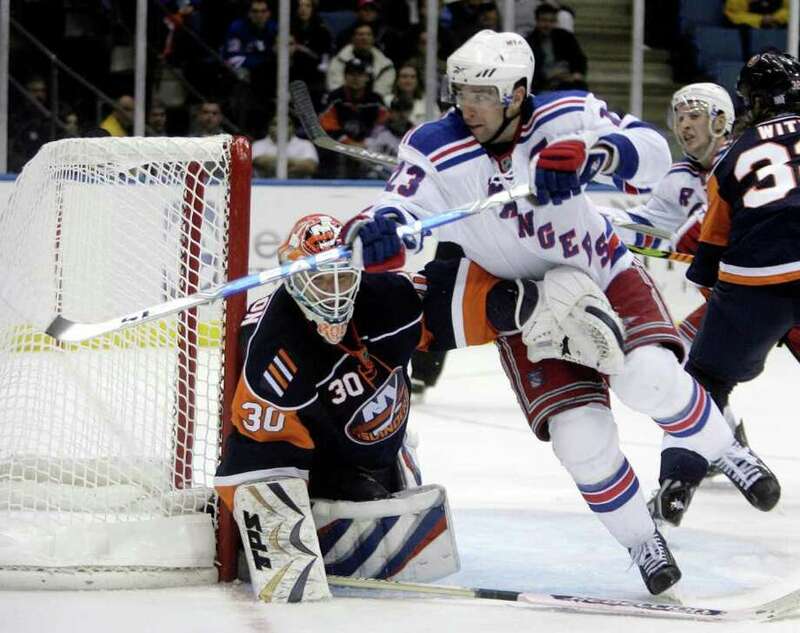 The move will save New York $3.7 million in the upcoming season and another $1.3 million in 2012-13. In 264 games in New York, Drury scored 62 goals, but had only one in 2010-11. Because of a combination of hand and knee injuries, Drury played in just 24 games this past season. Drury's career as a Ranger was always rather hit or miss. If you polled Rangers' fans, they'd say he was a bust after the five-year, $35.25 million deal he signed after the 2007 season, even though he recorded 151 points in New York. He was the captain of a team that made the playoffs four times, and he was always a good soldier. It isn't like he asked for New York to pony up that kind of money for a clutch but more defensive-minded, forward. The question now is, where does Drury go from here? He's no spring chicken-- he'll be 35 before the year starts-- and is currently coming off a year in which he missed more than two-thirds of the year. There aren't going to be many NHL teams lining up to pay top dollar for that. I'd think he could catch on somewhere else, as the New York Post reported that he would continue to pursue jobs. NHL players, for some reason, seem to have longer shelf lives than most professional athletes, and Drury's game and leadership ability lends itself to him hanging around the league, even as a role player. But there are question marks there for Drury now, and they've never been there before. I'm not a guy who wants to push a professional into retirement, but the game is different than it was when he entered the NHL in 1998, and his age is what it is. It certainly is the end of an era, Drury as a Ranger. But it might be the end of a career, too.